Claire Danes, Minnie Driver, and Billy Bob Thornton head a cast of hot Hollywood stars who lend their talents to this exquisitely animated, overwhelmingly acclaimed adventure epic! Inflicted with a deadly curse, a young warrior named Ashitaka sets out for the forests of the west in search of the cure that will save his life. Once there, he becomes inextricably entangled in a bitter battle that matches Lady Eboshi and a proud clan of humans against the forest's animal gods, who are led by the brave Princess Mononoke (Danes), a young woman raised by wolves! Also starring Gillian Anderson and Jada Pinkett Smith, this monumental struggle between man and nature will have you transfixed as stunning artistry blends with epic storytelling to create a uniquely entertaining motion picture! 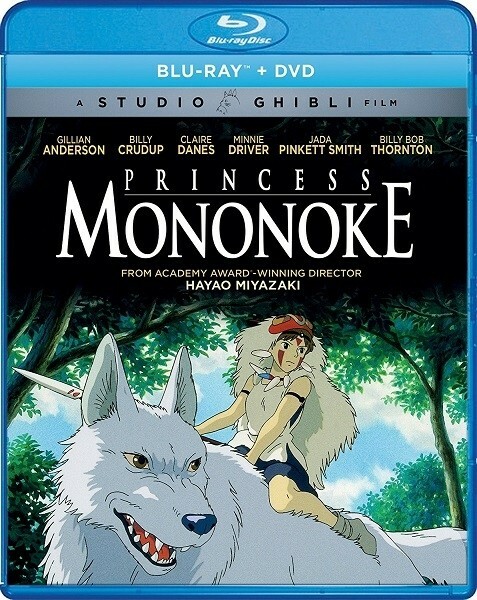 This highly recommended Hayao Miyazaki film is darker and more violent than his other animated films and, as such, is recommended for ages 13 and up. Before it ever arrived in the U.S., this epic, animated 1997 fantasy had already made history as the top-grossing domestic feature ever released in Japan, where its combination of mythic themes, mystical forces, and ravishing visuals tapped deeply into cultural identity and contemporary, ecological anxieties. 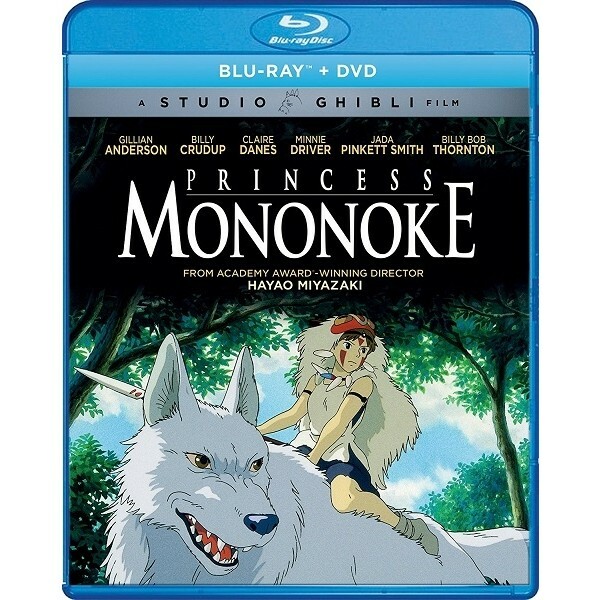 For international animation and anime fans, Princess Mononoke represents an auspicious next step for its revered creator, Hayao Miyazaki (My Neighbor Totoro, Kiki's Delivery Service), an acknowledged anime pioneer, whose painterly style, vivid character design, and stylized approach to storytelling take ambitious, evolutionary steps here. Set in medieval Japan, Miyazaki's original story envisions a struggle between nature and man. The march of technology, embodied in the dark iron forges of the ambitious Tatara clan, threatens the natural forces explicit in the benevolent Great God of the Forest and the wide-eyed, spectral spirits he protects. When Ashitaka, a young warrior from a remote, and endangered, village clan, kills a ravenous, boar-like monster, he discovers the beast is in fact an infectious "demon god," transformed by human anger. Ashitaka's quest to solve the beast's fatal curse brings him into the midst of human political intrigues as well as the more crucial battle between man and nature.